And back to reading the same parsha in Israel and the Diaspora. 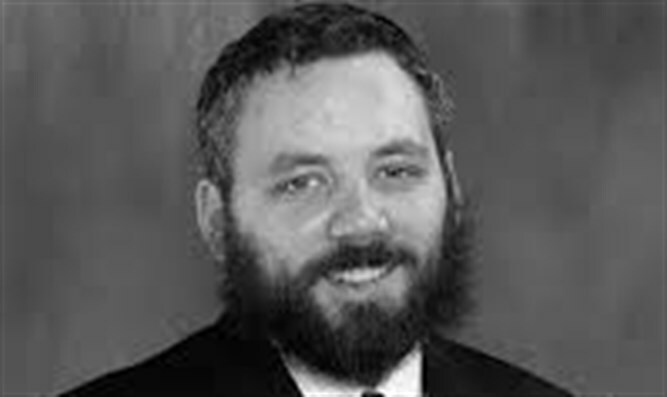 Rabbi Eliezer (Lazer) Gurkow, currently serving as rabbi of congregation Beth Tefilah in London, Ontario, is a well-known speaker and writer on Torah issues and current affairs. Are you still in touch with your grade school teachers; the ones that taught you the basics and laid your foundation for life? If you were like me, you looked down on your first grade teacher by the time you reached second grade. He was still in first, and I was a second grader! It took me decades to realize the wisdom of my grade school teachers. Those unassuming teachers, are the wisest people I know. The secret of life is to never forget the basics. When we first start out in business we are careful to pay attention to your clients and provide for all their needs. The key to success is to maintain that attitude even when we outgrow these clients. The basics of business don’t change when we become successful. If anything, they become more important. An artist paints his first picture with trepidation, but with time he becomes an old hand. The secret to success is to never forget the attention to detail that the original trepidation prompted. A medical student is filled with reverence the first time she operates on a live patient. The secret to success is to maintain that attitude even after three thousand surgeries. This is what I mean when I say, back to basics. The basics that set up our foundation, are the same basics on which our edifice is built. Don’t neglect the basics and destroy the foundation. The whole edifice is liable to crumble. If this is true about life, how much truer is it about morality. We have this notion that a child’s innocence must be protected, but adults are allowed to dabble in what is less than moral. Hollywood movies have a rating system that tells viewers exactly how immoral a movie is. Alarmingly, there are movies that are deemed inappropriate for children, but for adults they are acceptable. Please tell me why it is acceptable for adults to compromise their innocence. I know adults have the right to do so, should they wish to; G-d gave us free choice. But we have taken it a step further. We actually start thinking that movies with R or X rating are acceptable for adults to watch. If these movies are morally injurious to children, why do we think they have no deleterious affect on adults? Some argue that they were already exposed to such immorality and are already compromised. To this I say that the mind and psyche have layers. When we corrupt the outer layer, the inner layer is still intact. Exposing the inner layer to the same objectionable material, renders it too vulnerable. Every time we expose ourselves to morally objectionable experiences, we drop yet another rung. Let’s get back to the basics. What is wrong for our children, should be wrong for us too. Standing at the border of Israel and poised to enter, G-d told Moses to recount all the journeys they had made since the Exodus from Egypt. The question should be asked, why recount the past, when we are poised to enter the future? Of what benefit is it to recall the Exodus at this time? The answer is that life is a journey that is traveled step by step. We can’t get to Israel without leaving Egypt. And we can’t get to Sinai, without departing Refidim. And we can’t be in Sukkot unless we left Ramses. Such is life. As we move along, it is important to remember where we came from. 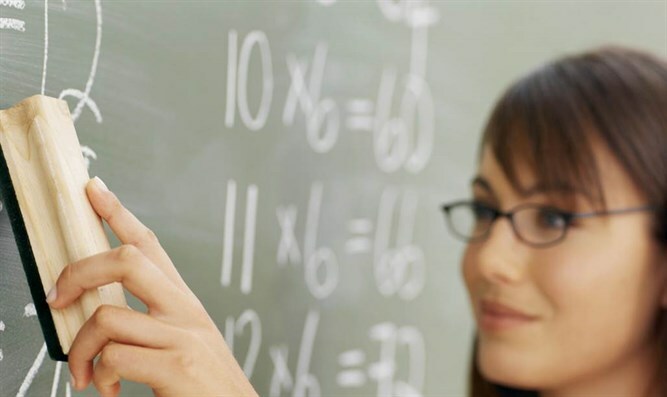 Our grade school teachers put us on the path to where we are today. If we lose sight of that path, we might wander into undesirable territory. The basics we learned at the beginning of our careers and lives, are the same basics that ensure our success later in life. There are two ways to journey. One is to pass through the hamlets and cities on our way to our destination without taking note of them. The other is to settle in and learn something new in each location. The former brings us to our destination quickly, but we arrive unequipped. The latter equips us for life. Each lesson we learn builds on what we learned before; coalescing into a guidebook for life. Life is a chain, each link connecting to the one before. If at any point, we forget the past, we break with the chain and sever the connection. If we rush through life not stopping to learn its lessons, or worse, learning and discarding them as we move along, we are vulnerable when we need them most. Every person we meet, every moment in time, every experience, is a teacher. But they can only be teachers, if we become students. Each lesson adds another shade to the tapestry of life and as we move along, the tapestry fills with color. An image emerges and our personal meaning clarifies. What we learned in first grade wasn’t just for first grade; it was for life. We can’t graduate high school if we forget the basics we were taught in eighth grade. We can’t earn a degree if we don’t remember the alphabet we learned in kindergarten. We can’t be parents if we forgot what it was like to be a child. If we hold on to each teaching and weave it into the tapestry of teachings we already learned, we will grow from each encounter. We won’t move to the next step before learning from this step. We won’t view any station in life as a place to pass through on our way to our destination. We will view it as a stepping stone that will equip is for our destination. Our ancestors did not traverse the desert only to get to Israel. They traveled through the desert to bring holiness to each of their camp sites. They did not leave any campsite until they achieved what they came to achieve and learned what they came to learn. Then and only then did they depart. This is why they recounted all their journeys as they were poised to make the final one. This final journey was the product of all previous journeys. Without those experiences, lessons and mistakes, they would not have been equipped to make the final step and enter Israel. You know how we got here? You know how we became what we are today? Through each of our previous journeys. Back to the basics is important, but we can’t get stuck in the basics. Remember that the basics are a foundation on which we are meant to build our sky scraper. They are tools to help us grow. Grow and grow and grow some more. Not away from the basics, but as a result of the basics. Our ancestors did not remain in the desert. They entered Israel and went where they were supposed to go. Life is a journey that we must travel. We can’t afford to luxuriate in reminiscence of the good old days. Those good days are old; we are now in the good new days. We need to parlay the lessons of the good old days, to make these days even better. Grow, grow and grow again. From beginning to end, remember: Life is a journey of many little steps; each one leads to the next. Based on commentary from Or Hachayim, Toras Moshe (Alshich) and Torash Mose (Sofer) on Numbers 33:1-2.